Are you a "boomer" who is stepping outside of a traditional box? 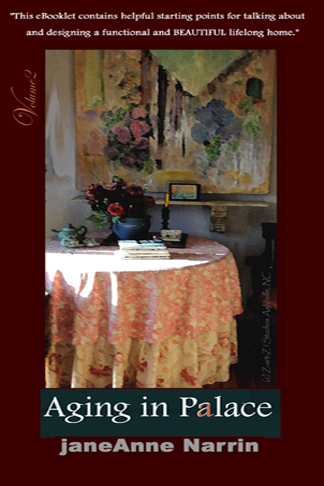 Are you placing the emphasis on quality of life where a new vision of aging is on the horizon? You don't have to be any particular age to appreciate sustainable excellence. Consider and plan how and where to live -- today and into the future. READ ON to envision your Post-50 years, sustainable innovation and excellence. The 50-Plus Crowd is leading the way toward sustainable excellence (going green) according to the latest research. In fact this very powerful and influential group of over 80 million over-the-NEXT-hill innovators may change the way we view aging. According to the latest research, silvery-haired folks find smaller footprints, daylighting , snug building shells, Energy Star ®appliances, no/low VOC paints and adhesives, rainwater harvesting- absolutely desirable. And the going green list features items that are good for health, pocketbook and the future of our grandkids. 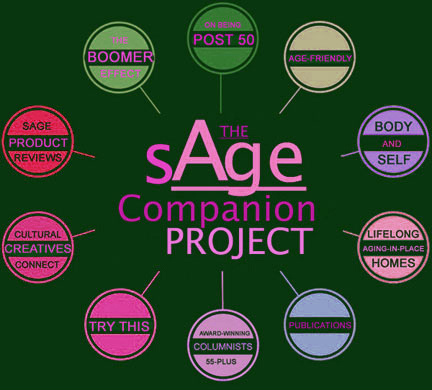 -CLICK on the red button to take a quick tour to The Sage Companion Project’s complied and curated boards at Pinterest for inspiration. You will see inter-generational homes, small cottages and pocket neighborhoods. 1. Lifelong homes showcase both style and common sense. 2. Function and beauty CAN come together to stir the imagination with home automation conveniences and green-built amenities. “ traditional” homes all across the USA. Recent research concludes that a clear link is beginning to emerge between the market value of a building and its green features. In that research, a combined a review of literature and case studies, researchers determined 5 Value-Added Factors in eco-friendly- green, high performance buildings. 1.Eco-friendly- green buildings are good for the environment. 2. Green -built structures provide healthier places to live and more productive work places. 3. "Green" properties command higher rents and/or home sales prices. 4. Eco-friendly dwellings attract tenants more quickly, reduce tenant turnover. 5. Green buildings cost less to operate , maintain and add value to the property. the matter of income-is up next ... . if you like the idea of having a good flow of cash around-- or, perhaps you would not turn down a waterfall --go with the flow ONWARD!